An Awfully Big Blog Adventure: A 54 year old fairy. A 54 year old fairy. Like many writers working alone, I can get a bit tired or lonely or discouraged, but meeting the children who read my books (and even if they don't read my books or can't read at all!) always cheers me up and inspires me. 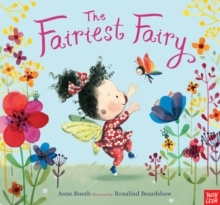 On World Book Day this year I went, dressed as a fairy, to read 'The Fairiest Fairy', my picture book beautifully illustrated by Rosalind Beardshaw, to Nursery, Reception and Year One classes in a local school. And I love that so much. A little 3 year old is still open enough to see me as fairy material, and I wasn't wearing pink and didn't have a wand! And I think that says so much about how wonderful it is to write for small children. They are so open and non-judgemental and imaginative and gorgeous and not yet affected by pressure and stereotypes. Writing for them is really a wonderful creative opportunity because they think it is perfectly fine for all sorts of things to happen which the world says shouldn't. Being with and writing for them gives me permission to live like that too - to see the world in a fresh way and take people - including myself - out of boxes. Anything is possible if you think like a child! I was so busy on World Book Day I didn't take any photos, and I am waiting for the school to send me them - but here is a photo from another time I have been a fairy. 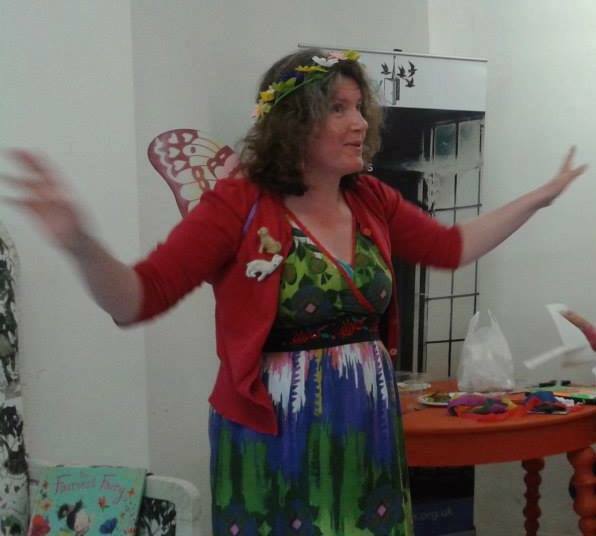 I wonder if putting my wings and headdress on when I write, might free me to create a truly magical story - what would a real, 54 year old fairy write? Perhaps I'll try it and see! Here I am as a 50 year old fairy! Belief is almost everything, at any age! PLEASE PLEASE PLEASE may we see you writing dressed as a fairy. And, more importantly, please could we know if it DOES work as you ponder in your blog?